.US Registry, the company that administers .US top-level domain names has opened two issues on public comment – the potential release of 1 and 2 character .US domains and an option to allow of .US domain whois privacy protection. The period in which comments would be accepted ends on January 16, 2017. All .US domain owners can express their opinion on both issues. The usTLD Stakeholder Council and Neustar, Inc., the registry operator for the usTLD announced that “The primary goal of the proposed PDN Plan is to increase the use and awareness of the .US brand in the consumer marketplace”. Both organizations work on a usTLD Premium Domain Name (“PDN”) plan and want to explore the opportunity for Neustar to allocate .US premium domain to “support organizations or activities that will help spread awareness or encourage growth of the .US domain”. 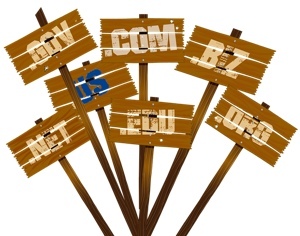 Those premium domains are certain high-value, visible .US domains, many of them currently designated as “reserved”, including 1 and 2-character domains. The usTLD Stakeholder Council and Neustar, Inc. intend to protect existing intellectual property rights and preserve the legacy locality namespace. So the release on the new 1 and 2 character internet addresses will apply “current best practices and allocation standards”. All policies and restrictions regarding two-character US state and territorial abbreviations or numbered domain names should be in effect. Two specific topics are put on discussion and are expected to find resolution. Should the usTLD registry operator include currently unregistered and registered name as premium names? (The premium plan will not affect existing registrants’ domain names, nor will it affect transfers of existing names.)? What, if any, impact would the introduction of 2 character names at the second level have on the legacy city.state.us registrations in .US? Please explain any concerns you have in detail.? Organizations are seeking public comment on its recommendation to allow for the implementation of a registry-based wholesale privacy registration service in the .US Top Level Domain. Stakeholders at the 2015 usTLD Stakeholder Town Hall identified the lack of privacy services as a key issue suppressing domain name registration in the .US TLD. In an increasingly competitive landscape, in which many of the competitors to .US allow some type of privacy or proxy service, Neustar and the Council want to increase domain name registrations to ensure a robust, healthy namespace and believe that the implementation of such services will put .US on an equal footing with its closest competitors in both the generic and country code top-level domain namespaces. Do you support the implementation of privacy services for .US domain name holders? What issues, if any, will registrars have with implementing privacy services as set forth in the plan? Does the plan adequately address the concerns of law enforcement while preserving the expected level of privacy of registrants who request the service? When a someone registers a domain name, registry policy requires the registrars to obtain and provide to the registry contact information, including name, physical address, email address, and phone number of the person or organization registrant. These personal details are publicly available in the WhoIs database, which is searchable by anyone with access to the internet. The usTLD Stakeholder Council will be submit all the comments it receives to the US Department of Commerce and will request authority to allow privacy services to be implemented for .US top-level-domains. Dot-US domain names are eligible to be owned by United States citizens, residents, or organizations, or a foreign entity with a presence in the United States.